The 3Arts Awards express our gratitude to Chicago’s women artists, artists of color, and artists with disabilities for their indisputable contributions to the health and vibrancy of our city. Every year, ten artists who live and work in the six-county metropolitan area receive unrestricted $25,000 awards in dance, music, teaching arts, theater, and visual arts. Artists may use the award in any way that makes a difference to their lives and careers, including paying off debt, purchasing equipment, hiring collaborators, producing new work, and saving for the future. We invite you to read the 3Arts Artist Survey (2008-2013) to learn more about the first six years of our awards program. We thank our Award Partners and Community Award donors for their generosity in helping 3Arts support and advocate for local artists. 3Arts awardees are selected through a nomination and jury process. 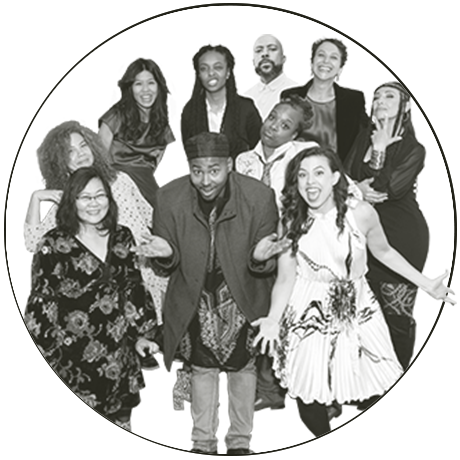 More than 100 artists are nominated annually by at least 35 anonymous local nominators--artists, curators, presenters, and advocates--who are acutely knowledgeable about the breadth of artists working in neighborhoods across the metropolitan area. After the nominees have completed our online application process, five national, discipline-based panels of judges convene in Chicago to select ten awardees from the pool. 3Arts requires judges to disclose conflicts of interest as part of the selection process. If a strong personal or professional relationship exists between a judge and a nominated artist that might be an impediment to the integrity of the process, a full recusal from the discussion and vote is implemented. Meet our most recent judges. A no-strings-attached award is significant on its own, but 3Arts Awards represent more than just cash. They are the entry point to multiyear support that helps artists build momentum in their careers over time. 3Arts awardees are eligible for project funding, residency fellowships, informal and formal professional development, and promotion. Awardees may receive support for financing the creation of new art work through 3AP, a unique, online crowdfunding platform with a built-in match. 3Arts pledges 1/3 of each project’s funding goal, charges no fees to artists, produces the project videos, and provides coaching before, during, and after each campaign. We invite you to learn more by visiting our 3AP page and reading our latest 3AP Impact Study. Awardees are eligible for all-expenses paid, month-long fellowships, which include stipends and airfare, at some of the most esteemed and beautiful artist communities, from France to Florida. 3Arts partners with a consortium of residencies in a program managed by the Alliance of Artists Communities and also partners directly with The MacDowell Colony and Bodies of Work/the University of Illinois at Chicago. Learn more by visiting Residencies. 3Arts offers formal workshops to help artists gain valuable, career-building skills, covering areas including accessibility, financial management, strategic planning, and crowdfunding. We also offer application feedback sessions and informal coaching.